Spend a semester on the Emerald Isle! 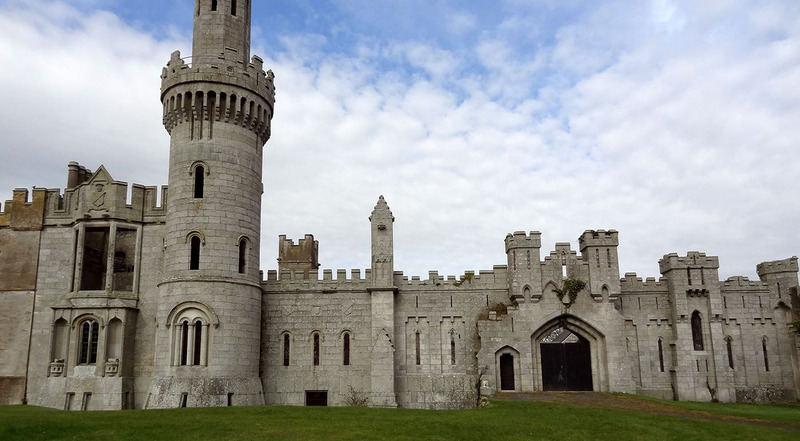 The Illinois Consortium for International Studies and Programs (ICISP) is pleased to provide a semester-long study abroad program to Carlow College in Carlow, Ireland. The program is available in the summer, fall and spring semesters and is designed for students interested in learning more about Irish culture and history and experiencing the charms of daily life in an Irish town. The magic of Ireland awaits you in this exciting and dynamic semester study abroad opportunity.. This program is open to serious students who have a strong interest in immersing themselves in Irish society and heritage. Carlow, Ireland, affectionately known as Carlowtown, is the quintessential Irish country town. With a population of 25,000, Carlow is home to two colleges including Carlow College, known to locals as St. Patrick’s College. Learn more about Carlow College at www.carlowcollege.ie and about Carlow-town at www.carlowtourism.com. Dublin is about an hour away and is easily accessible by both train and bus. Students in this program will enroll as full time students at Carlow College, earning 12 – 18 semester credits. The cornerstone of the program is The Irish Experience, a course which provides students with an introduction to the history, culture, and people of Ireland. This course includes field trips and a forum for inquiry into the country they reside in for the academic term. Courses are offered in the liberal arts, humanities, and social sciences. Students from ICISP member institutions are required to take The Irish Experience and 3-4 electives, for a total of 12-18 credit hours. Electives vary from semester to semester; check with your ICISP representative for the most current offerings. ICISP students are only permitted to take courses from the pre-approved course list that has been articulated through ICCB and are transferable to their home institution. Elective courses are offered in a variety of disciplines within liberal arts, humanities, social sciences, and literature. Offerings vary and may not be offered each semester. This list is not exhaustive and may change without notice. The program includes trips to County Carlow, including Killeshin Romanesque Church and Killeshin Hill, Old Leighlin Cathedral, and St. Mullins; County Wexford, including the Irish National Heritage Park, Mount Leinster, Curracloe Beach and New Ross; Dublin City; County Wicklow, including Glendalough, the Meeting of the Waters, and Avoca Headquarters; a three-day excursion (Friday-Sunday) to County Kerry (Killarney/Dingle); Kilkenny City, Dunmore Caves, and County Kildare, including Rathgall and St Brigid’s Cathedral. The cost of transportation and entry fees for all cultural excursions are included in the program cost. The cost of housing is included in the program fee. Housing is provided at Lennon House, a renovated residence hall on the college campus. Residing at Lennon House is a requirement of the program. Each student will have a private bedroom and will share a living space, kitchen, and bathroom with two or three other students. Wi-Fi is available in the residence hall. Laundry facilities are located on the premises. Bed and bath linens are provided. Meals are not included in the program fee. A cafeteria serving breakfast and lunch Monday through Friday is located in the academic building, but there is no food service in Lennon House. Students are expected to cook for themselves. Kitchen and cooking facilities are available in Lennon House, and many students will share meals with their housemates. A nice selection of grocery stores and eating establishments are located within walking distance. • Approval and recommendation of their campus ICISP representative. A personal interview with the program coordinator may be held to determine the participant’s maturity and adaptability to a foreign environment. Successful completion of the application process is required for admission to the program. If a participant has special needs, the program will attempt to make reasonable accommodations within the capacity available at Carlow College. Disability accommodations will vary according to need and what can reasonably be provided by a foreign institution. It may be difficult for those with severe physical disabilities to travel to and within Ireland. The application deadline is May 15 for the fall term and October 15 for the spring term. Applications must be received at the ICISP office by this date.